Edible party favors. 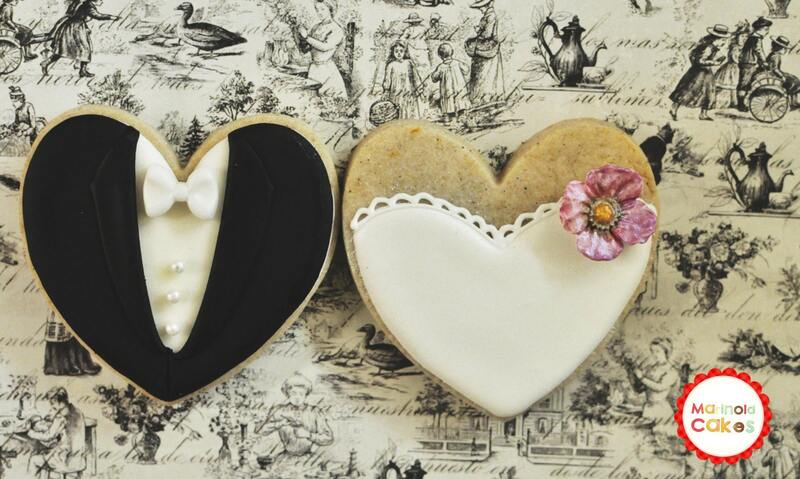 One dozen heart cookies decorated, 6 brides with flower accent and 6 grooms in tux. Each cookie is approximately Approximately 4 inches in size. 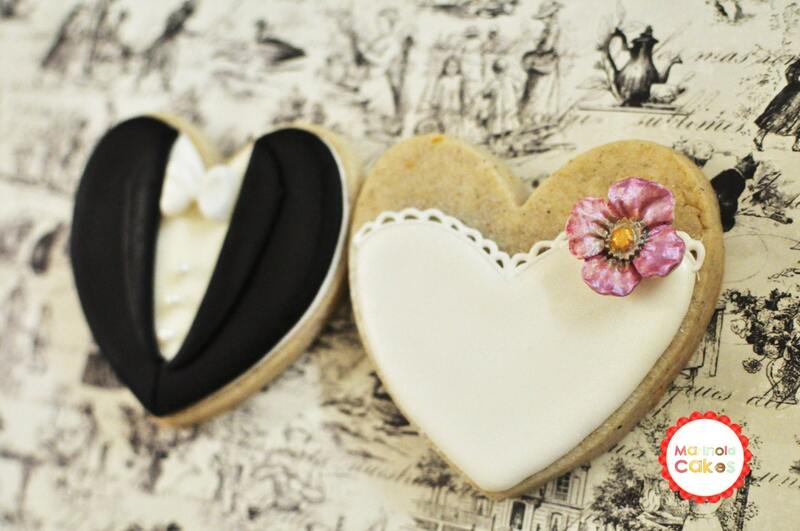 They are iced with royal icing and the suit part on top of the groom cookies are thinly rolled fondant. They will be individually wrapped in self adhesive resealable cellophane. The cookies are worth every dollar spent!